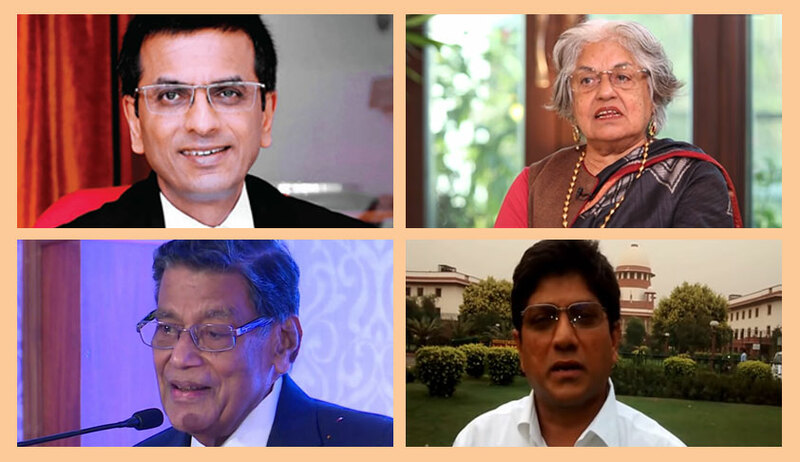 Hearing a string of PILs seeking video recording and live straeming of the proceedings of the apex court, the Supreme Court bench of Chief Justice Dipak Misra, Justice D. Y. Chandrachud and Justice A. M. Khanwilkar reprimanded petitioner-in-person Mathews J. Nedumpara for certain contentions leveled in his writ petition, proceeding to dismiss the petition. “Look at your petition...you have asserted that Senior Counsel represent the cause of the elite...you have averred that while the judges of the subordinate courts hear the lawyers and dispose off matters as per the law, the superior courts act in a discretionary manner...”, remarked Justice Chandrachud. “Articles 226 and 136 are discretionary... the lower courts atleast frame issues...I had challenged the order of the Bombay High Court (on a writ petition praying for identical relief as the present petition), but the SLP was dismissed... the orders of the courts discriminate between lawyers...Your Lordships may question me on jurisprudence and I shall answer...we are first generation lawyers who stand for judicial transparency and reforms...we humbly come before the courts...”, advanced Mr. Nedumpara. It may be noted that the Bombay High Court had, in Sunil Gupta v. Dept. of Legal Affairs (2016) and Indur Kartar Chhugani v. State of Maharashtra (2016), dismissed pleas for similar relief. Further, In the subsequent judgment of the High Court in Navniit Tarachand Kkhosla v. UOI (2016), the prayers for video recording or telecasting of court proceedings were denied relying on the aforesaid order. “If you were to keep your eyes open, you would see that before the Constitution bench assembles at 11:30 AM, there are several matters such as motor accident claims, where only juniors appear”, stated Justice Chandrachud. “I have been falsely accused...my writ petition was read by almost 13,000 people before it was filed...”, Mr. Nedumpara sought to submit. “There are no accusations; we are only indicating the assertions made by you in your petition...I have received another petition on WhatsApp where you have impleaded a judge of the Bombay High Court and sought action against him...we thought the bar was supposed to be the protector of the bench...”, replied Justice Chandrachud. As his petition was dismissed, Justice Chandrachud noted, “this practice of levelling allegations, then withdrawing them and proceeding with the main petition needs to be stopped”. On the prayers, the AG mentioned that the UK Supreme Court proceedings are video recorded and sought four weeks’ time to file the counter affidavit on behalf of the Union of India. Ms. Jaising requested that, in submitting the Centre’s response, as an alternative to video recordings, the option of transcripts of court proceedings may also be considered. The hearing on Thursday also witnessed the Chief Justice insist on the need for measured oral arguments and written submissions, only relevant questions from the bench and the presence of only assisting counsel. The AG advanced that the Pakistan Supreme Court uses podiums and only one lawyer addresses the bench at any point of time. Chief Justice Misra cited the example of Canada where counsel are allotted a definite time period for their arguments. Ms. Jaising also added that there may be only propositions and no reproduction of judgments in submissions. The matters are next scheduled for hearing on July 5.